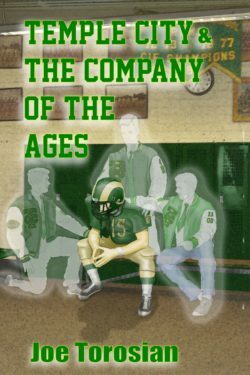 The title of the book is “Temple City & The Company of the Ages,” but it very well could have been called “San Dimas & The Company of the Ages,” or “Arcadia and The Company of The Ages.” Hey, insert Monrovia and you’re good to go. 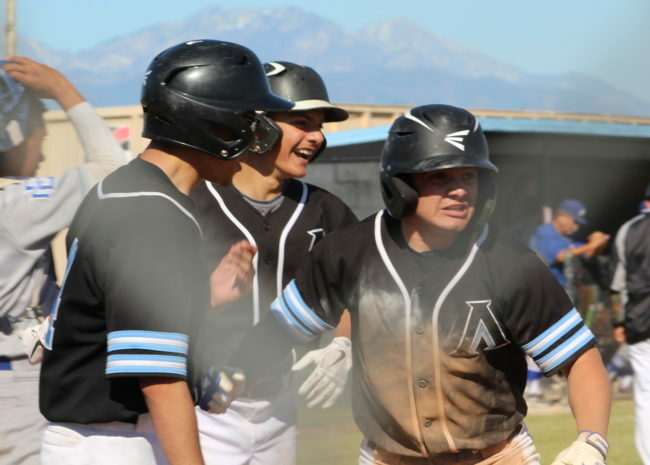 Ivan Ortega (right) celebrates his inside the park home run that ignited Arroyo. 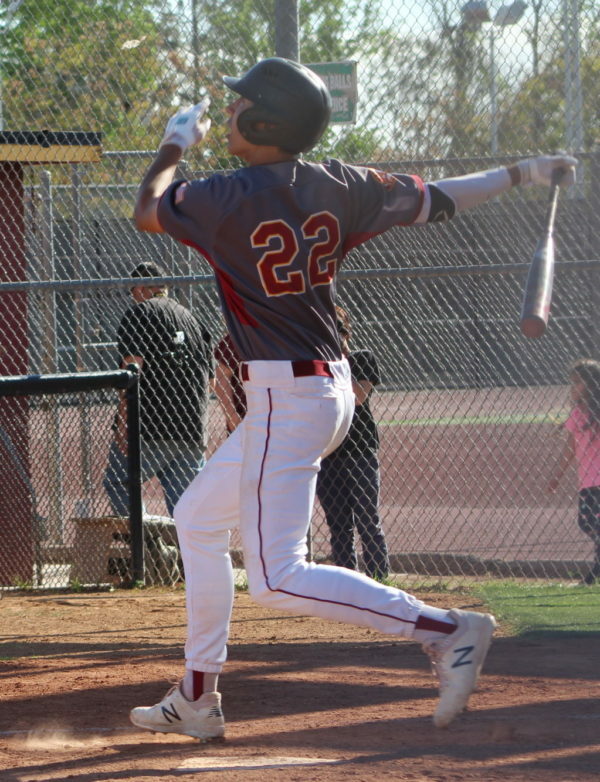 Dustin Allen got the Apaches started on a four-run rally in the third inning.